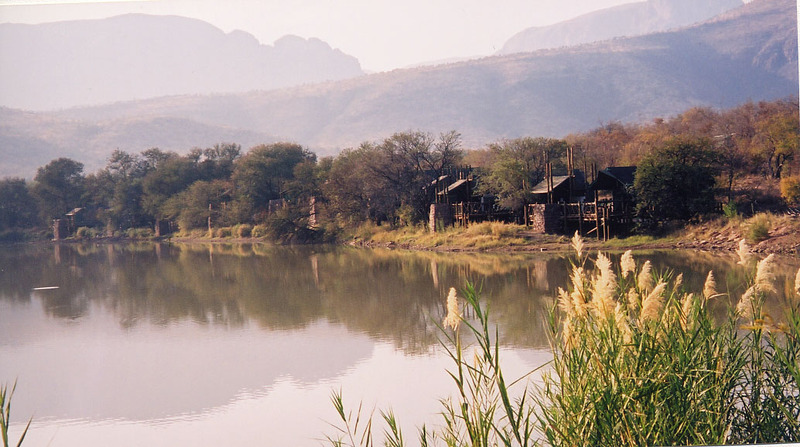 Situated in the transitional zone between the dry western and moister eastern regions of South Africa, the Tswana name of this Park is fitting: Marakele means “sanctuary” and has become home to many wildlife species over the years. 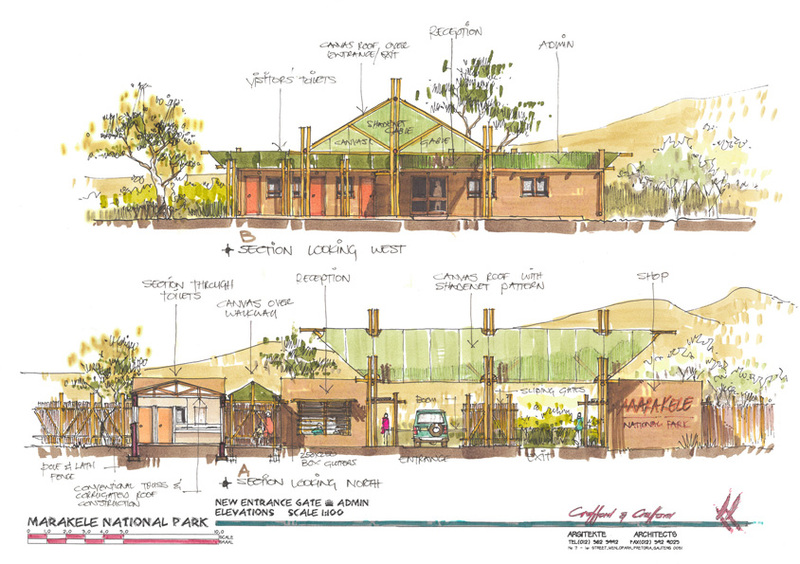 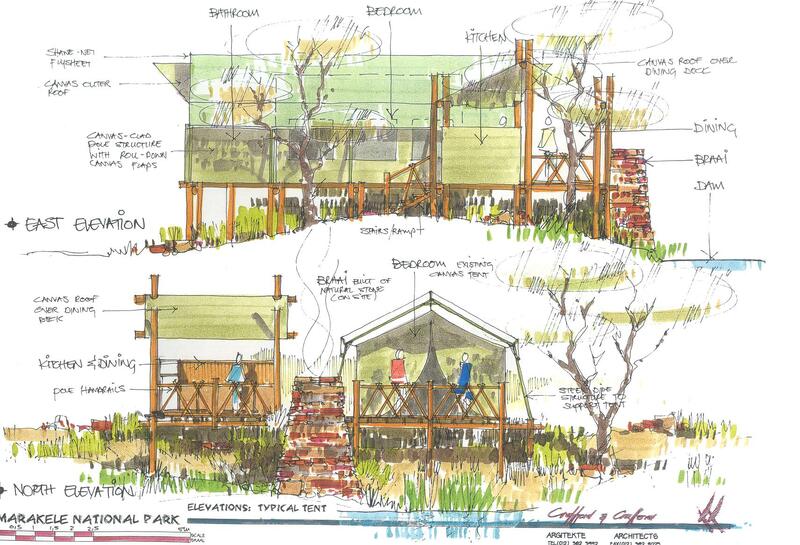 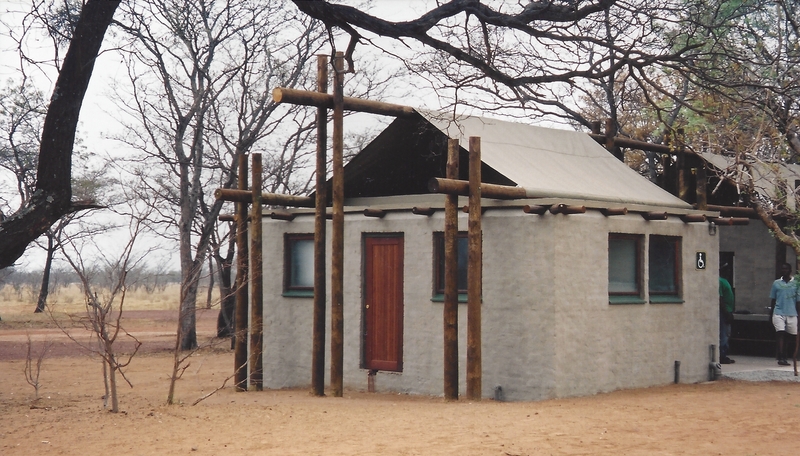 At the time that the development took place; the intention was to not have any “conventional” restcamps in the Park. 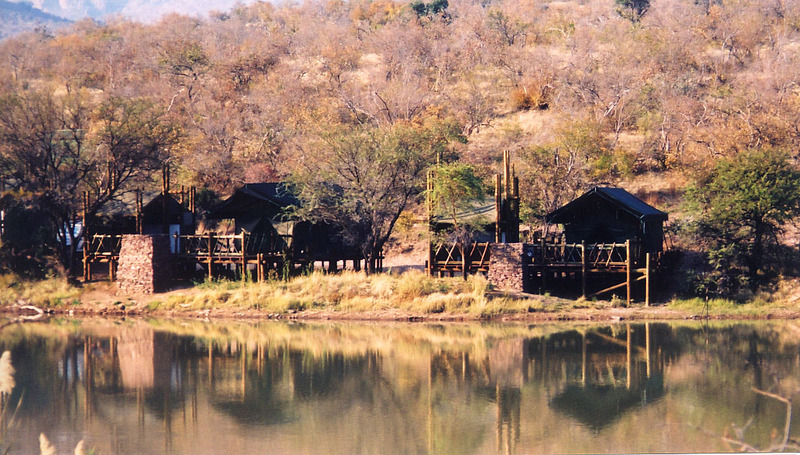 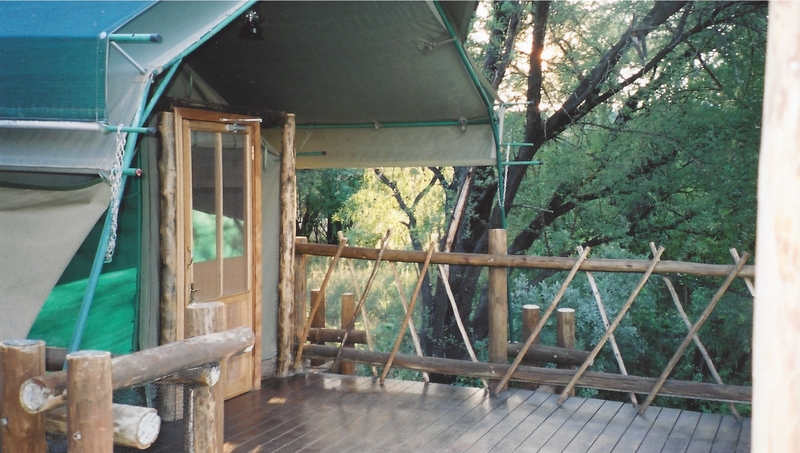 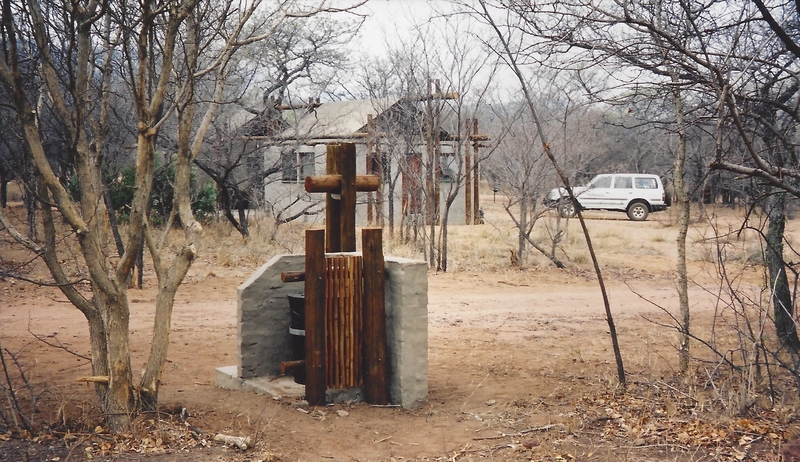 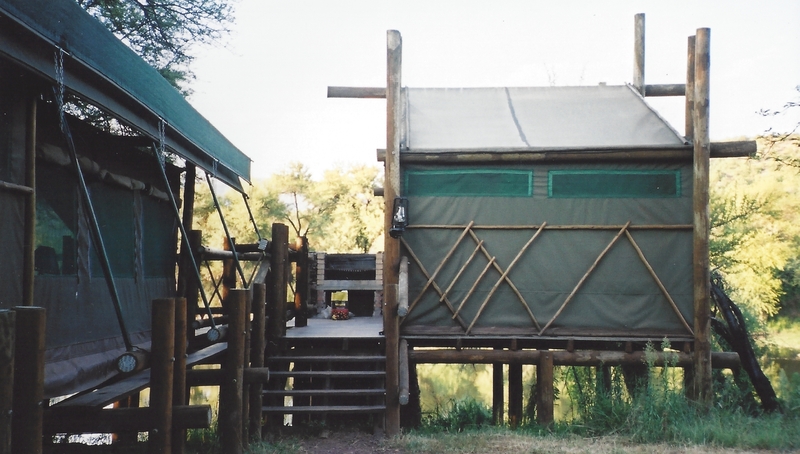 A tented lodge (called Tlopi) was built overlooking the Apiesrivierpoortdam, as a first phase. 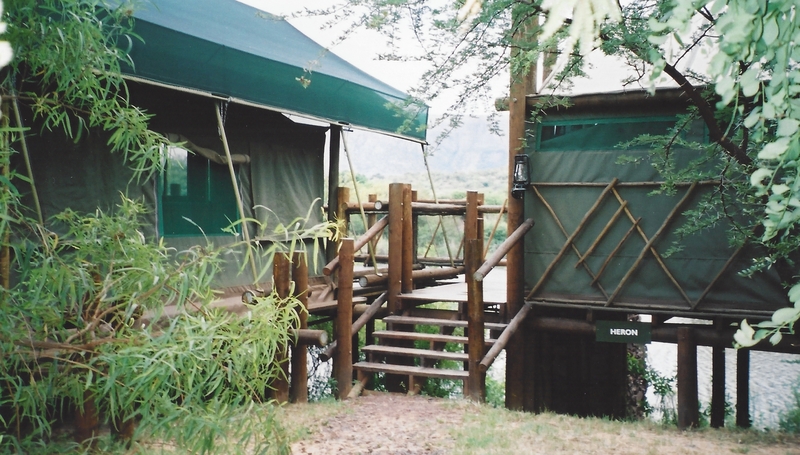 The campsite and entrance gate facilities were therefore designed to have a “canvas character”. 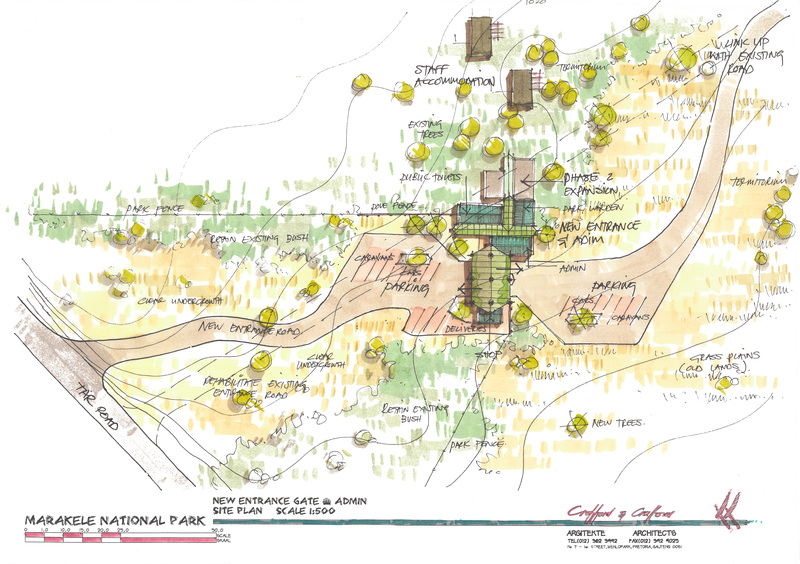 Combined with lightweight concrete flat roofs, the canvas roofs over passages and public areas hinted at the non-conventional facilities envisaged for the Park. 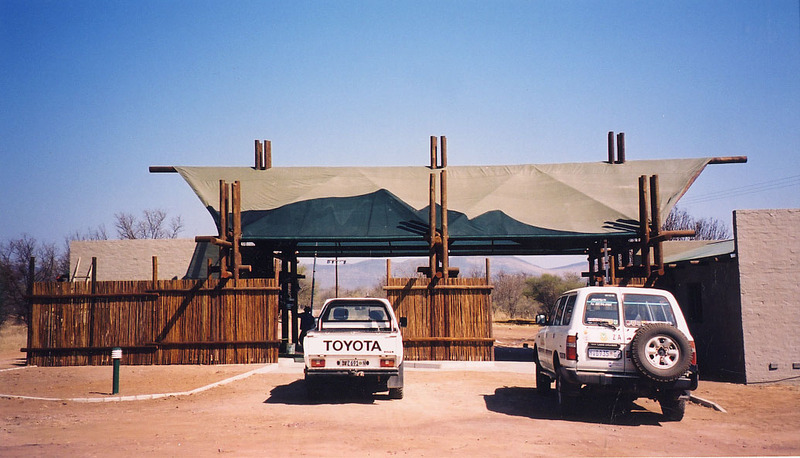 The massive canvas roof over the entrance road would have posed a problem in heavy winds – more than half the surface area thereof was made of shade netting (which lets wind pass through), reflecting the silhouette of the Waterberg mountains behind it. 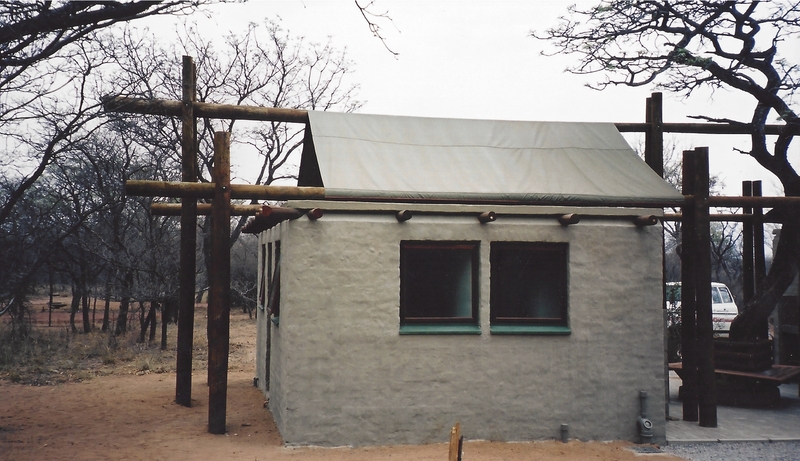 Copyright 2017 by Planeco Architecture Without Boundaries.